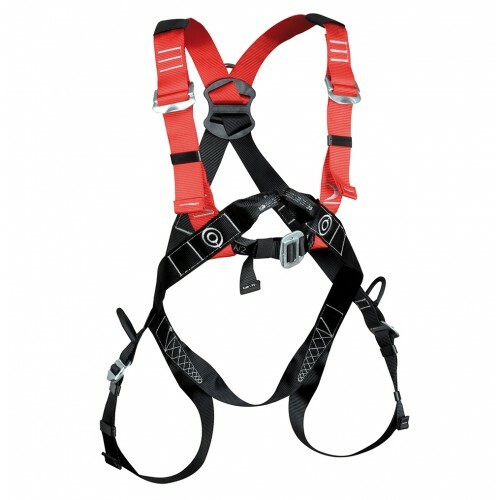 Masterfit a line of harnesses with a bold cut and self-moulding profile designed for various work applications and normal daily use. Their outstanding ease of use is demonstrated by the exceptional freedom of movement they give once fitted and by the high level of comfort. Harnesses in the MASTERFIT line are designed to subsequently integrate a work positioning belt in a few, easy steps. The zinc-plated steel components are corrosion resistant and hard-wearing, while the high-tenacity polyester strap is characterised by a strong weave giving a high level of resistance to tear and abrasion for extended life. An ergonomic harness designed to follow the natural contours of the body and give the required freedom of movement while working. The dual adjustment gives perfect body grip.